Deep Fried Breakfast for Dinner - I've always wondered why more food vendors at the Fair haven't taken advantage of the elements that make up the most important meal of the day. 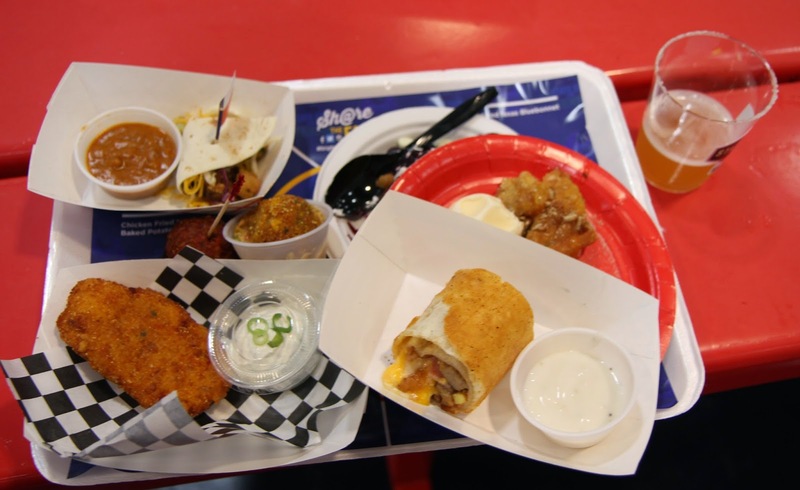 Sure you can find Deep Fried Biscuits & Gravy but other than that the pickins' are slim. 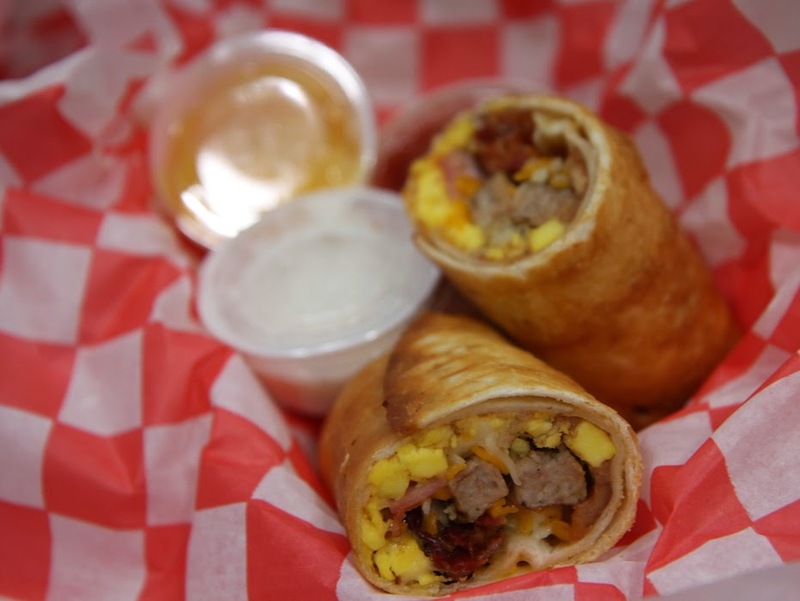 But this year someone finally figured out that eggs, bacon, cheese, ham and everything else that tastes great at breakfast would taste even better wrapped up and deep fried. This one works any time of day. 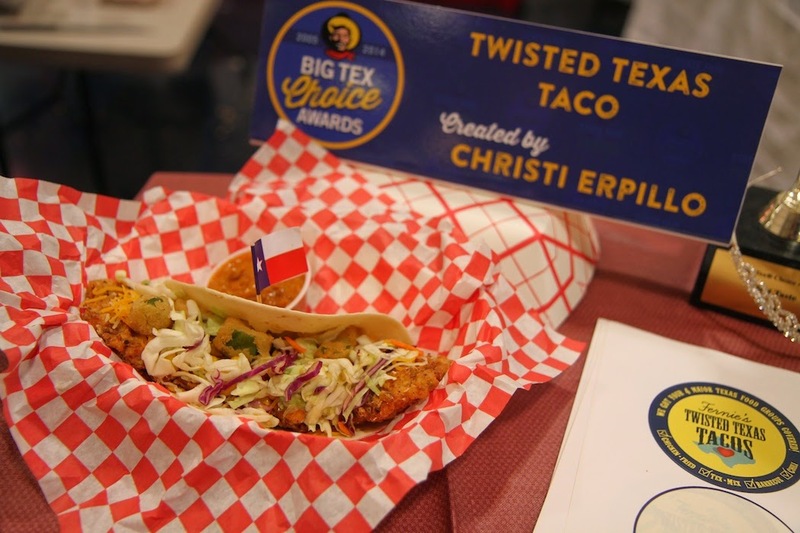 Twisted Texas Tacos - This one may be an overreach since it seems like the makers were afraid they would leave something out. 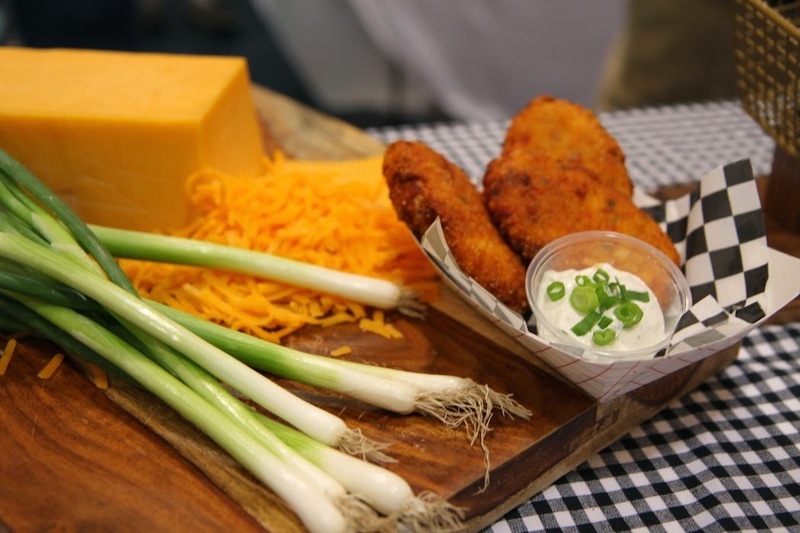 Deep fried beef brisket is the star of the show but is joined by all the Texas food favorites they could stuff into a tortilla. Coleslaw, Mexican cheese and sweet pepper corn try to fight each other for the eater's attention but the best addition to the party is the crispy fried okra. It made me wish I had a big bowl of it on the side. My unsolicited opinion would be to not fry the brisket, slap some BBQ sauce on top and call it a day. 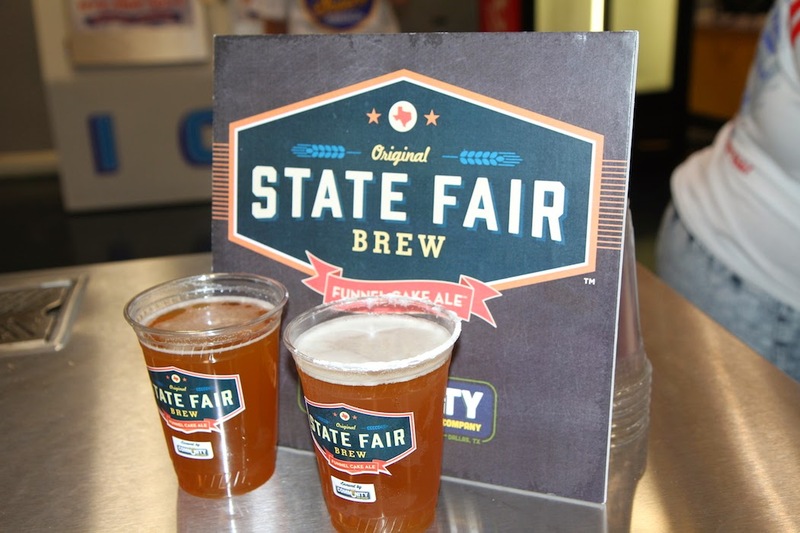 State Fair Brew/Funnel Cake Ale - Remember last year at the Fair when you wished your funnel cake tasked more like beer and your beer tasted more like funnel cake? Probably not but it seems like Funnel Cake Ale NEEDED to happen anyway. I would say that the brewers showed a little too much restraint since the flavor is more of a sweetened ale than a remembrance of the deep fried dessert. If you get one, go all the way and get the "powdered sugar on the rim" option. Then go get a funnel cake. Fried Gulf Shrimp Boil - This is one confounds me. 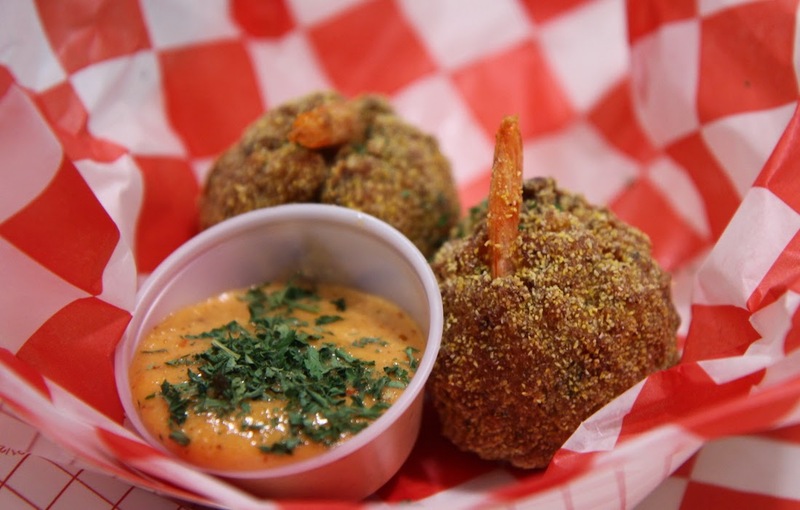 It's a perfectly fried ball of food and yet for some reason it definitely reminds me of a bowl of gumbo. It's a popular entry this year but, much like every shrimp dish ever, I wish there was more shrimp in it. It's worth a slot on your snack roster and definitely wins the prize for best dipping sauce (remoulade). 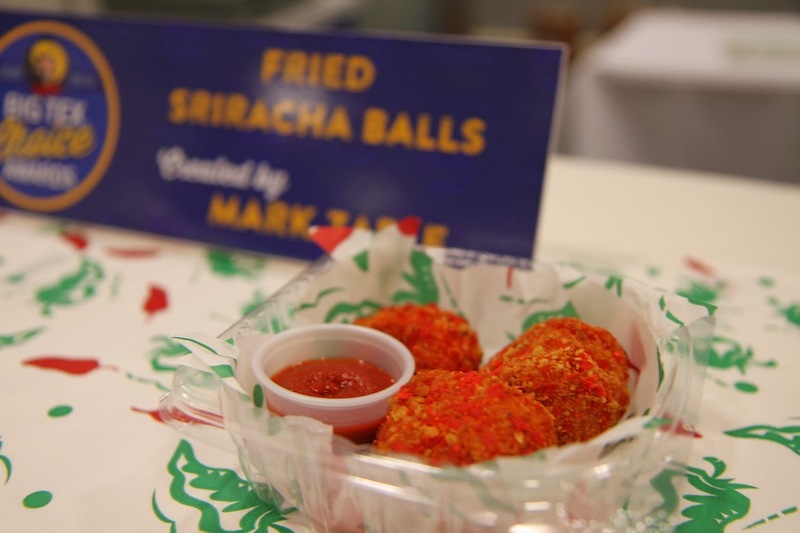 Fried Sriracha Balls - I never went all in with the recent sriracha craze but it does make sporadic appearances on my plate. But for the full-on sriracha fanboy, this one is a must. However, not surprisingly, if you don't like sriracha, you won't like this. The perfectly textured bites contain chicken, corn, green chilies and tomatoes which all take a back seat to the sriracha spice. Chicken Fried Loaded Baked Potatoes - Footballs are also balls so football-ish shaped food can go in the Ball Category...so there. Reminiscent of a pierogi, this entry falls victim to a misleading name. The inside of mine contained some cheese and a small amount of bacon but I wouldn't describe them as "Loaded." Don't get me wrong, a plate of these would be perfect comfort food on a rainy day but you gotta take things up a notch at the State Fair. Fried Sweet Texas - This one seems to be flying under the radar, maybe because it just makes too much sense. 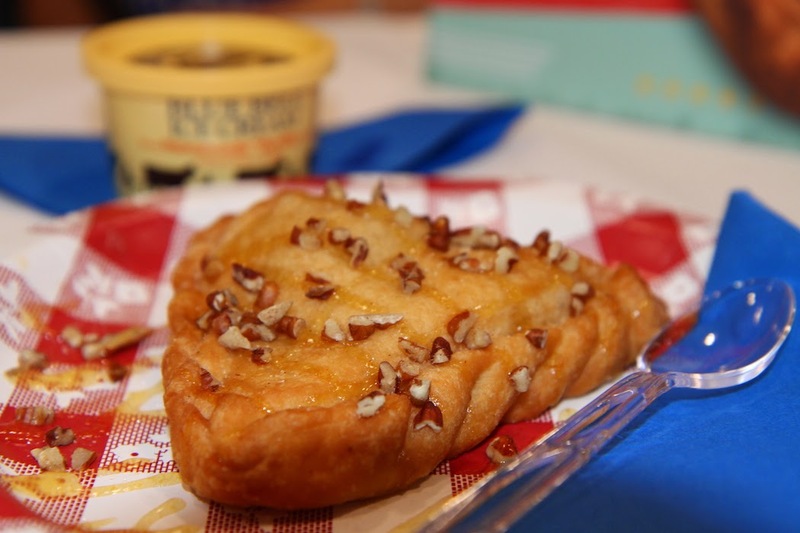 Imagine a perfect melding of your favorite Texas treats: pecan pie, peach cobbler and buttermilk pie that is deep fried and paired perfectly with vanilla Blue Bell ice cream. This one is a great match for the Fair. 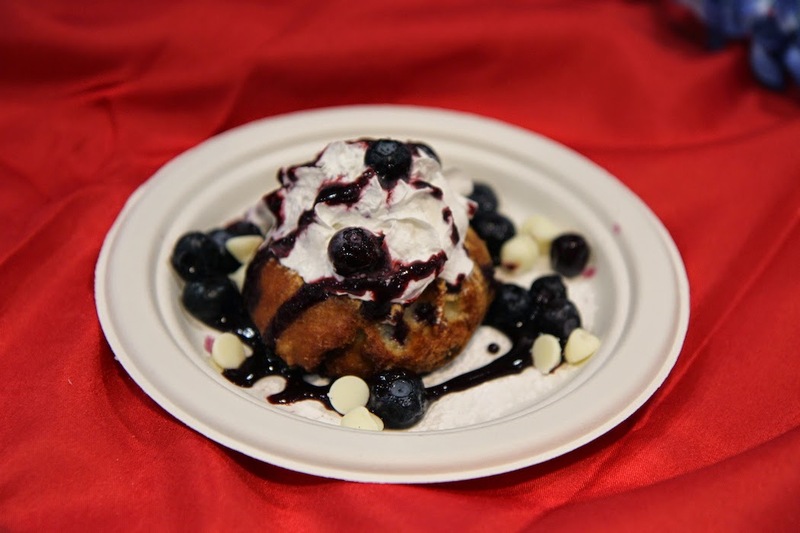 Deep Fried Texas Bluebonnet - Calm down, no actual bluebonnets were harm in the making this dish. This is a clever combination of blueberries, a muffin stuffed with cream cheese, white chocolate and whipped cream. My only issue is with the blueberry glaze that had a bit of an odd after taste. Interesting creation, though. It may have been one of the best lunches of my life and I totally recommend it. 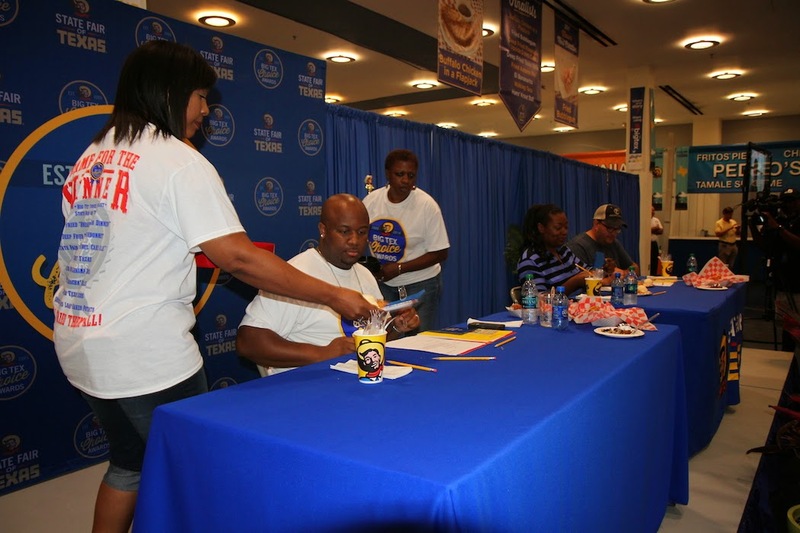 And if anyone is questioning the scoring method, the only thing I've given a 10 out of 10 to is Fletcher's Corn Dogs. So take that as you will.